Aaron Varner, senior pastor at West Hill Baptist Church, accepted Jesus Christ as his savior at Norton Baptist Church when he was just a child in Sunday School, after hearing the story of Jesus dying on the cross. Wondering why Jesus would do such a thing, along with the realization that Christ died for him, Pastor Aaron raised his hand and stayed after class to pray with Mrs. Massey, asking God to forgive his sins and come into his life so that he could be His child. As he left the room, he was so excited to tell his parents what he had done that he almost knocked over a woman as he ran up the stairs. Pastor Aaron grew up in the wonderful little country town of Norton, Ohio, where he worked on the Himelrigh farm, bailing hay and straw, then eventually did some work in construction. Heading into his senior year at Norton High School, Pastor Aaron attended Teen Leadership Conference at Bible Baptist College (BBC) in Clarks Summit, PA. That week of staying in an unfamiliar place and surrounded by strangers transformed his life for eternity. It was there that he committed his life to full time youth ministry and recognized how awesome it was that God would allow him to work full-time for Him. After graduating from Norton High School, Pastor Aaron attended BBC, where he did some work as part of the security force and on the maintenance gang, to help pay for his education. During his time at BBC, Pastor Aaron had the opportunity to represent the college on the Frontline Ministry Team, traveling all over the Midwest and Northeast at summer camps during the week and ministering at churches on the weekends. He also interned at Norton Baptist Church, his home church. Upon graduating in 1999, Pastor Aaron married his bride, Lisa, who had graduated from Cedarville College, then started his job at West Hill as the Associate Pastor on July 1, 1999. On January 16, 2005, Pastor Aaron became the Senior Pastor at West Hill. In February 2010 he started his work on his Master's in Ministry from Baptist Bible Seminary. 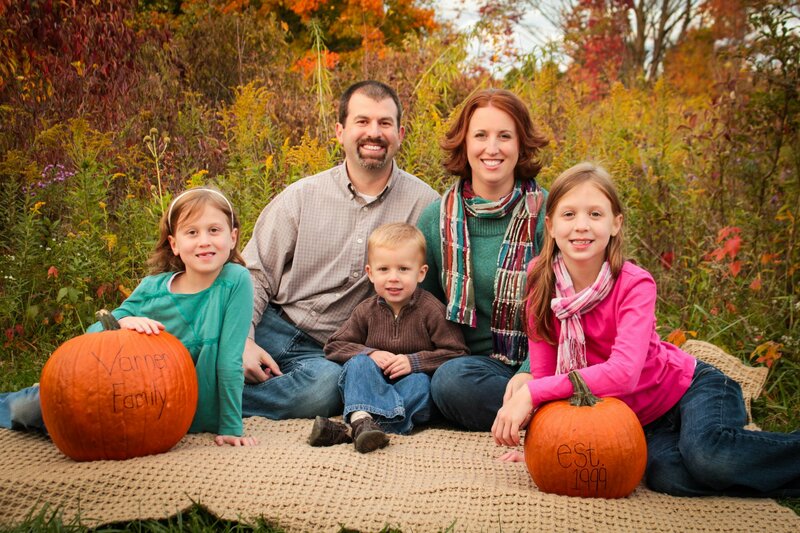 Pastor Aaron and Lisa Varner have three children. Linae was born in May of 2003 and Marisa in January of 2006 and Zachary in February 2009. Regarding West Hill Baptist Church, Pastor Aaron said, "We have such loving, kind, and warm people who love the Lord and desire to please Him. We are truly a family!" Sports: Everything Cleveland and Ohio State! I enjoy running, playing basketball, golf and softball.